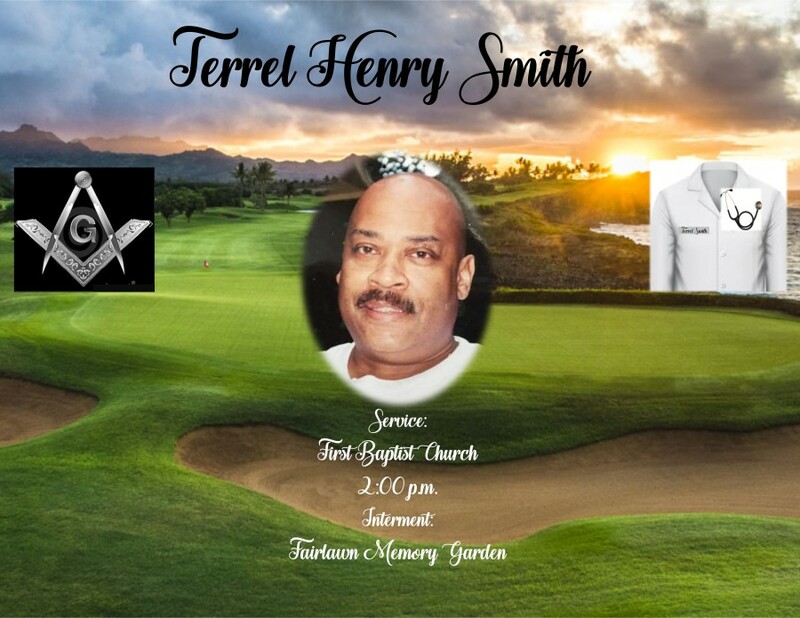 Mr. Terrel Henry Smith, 59, of Selma transitioned February 7, 2018. Services will be held on Saturday, February 10, 2018 at First Baptist Church and interment will immediately follow at Fairlawn Memory Garden. Ashley's JH Williams and Sons funeral home professional and courteous staff would like to thank the Smith family for entrusting our firm with your loved one during his final rites of passage.